Canada’s majestic boreal forest is one of the last wilderness wonders of the world. This “Amazon of the North” is home to hundreds of Indigenous communities, helps regulate the global climate by holding more than 300 billion tons of carbon in its soils, plants, and wetlands — and provides habitat to the iconic boreal caribou and other rare wildlife. But right now, the boreal forest, its boreal caribou, and its Indigenous cultures are severely threatened by logging — much of it used to produce toilet paper and paper towels — and other industrial development. Urge Prime Minister Trudeau to take immediate action to stop unsustainable logging and other destructive industrial exploitation in Canada’s boreal forest. 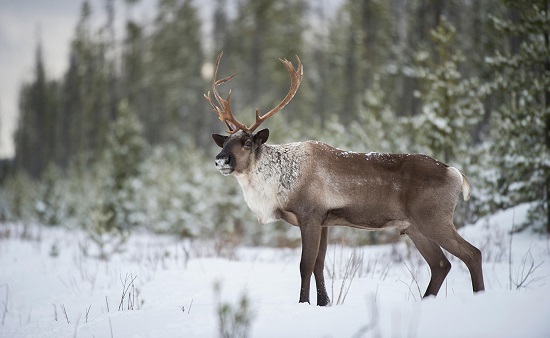 Urge Canadian Prime Minister Trudeau to speak up against unsustainable logging and other industrial activities to protect Canada’s boreal forest and boreal caribou.